DETOX MARIJUANA FAST does not promote the use of any drugs. 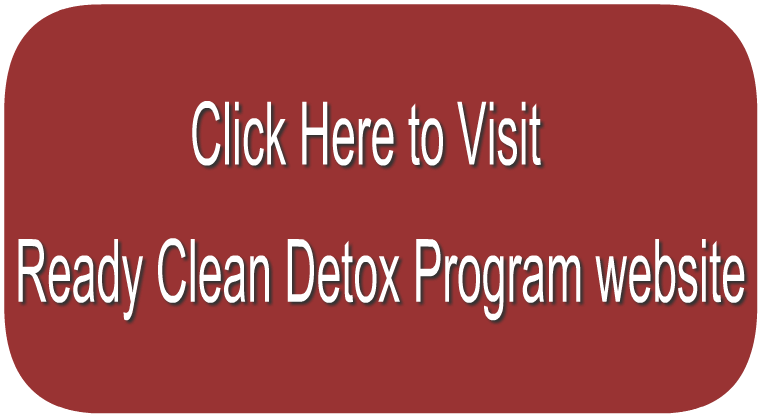 Overview – How Can Ready Clean Detox Program Help You? Ready Clean Detox Program may increase your chance to pass a urine drug test. It is recommended for supervised drug tests. 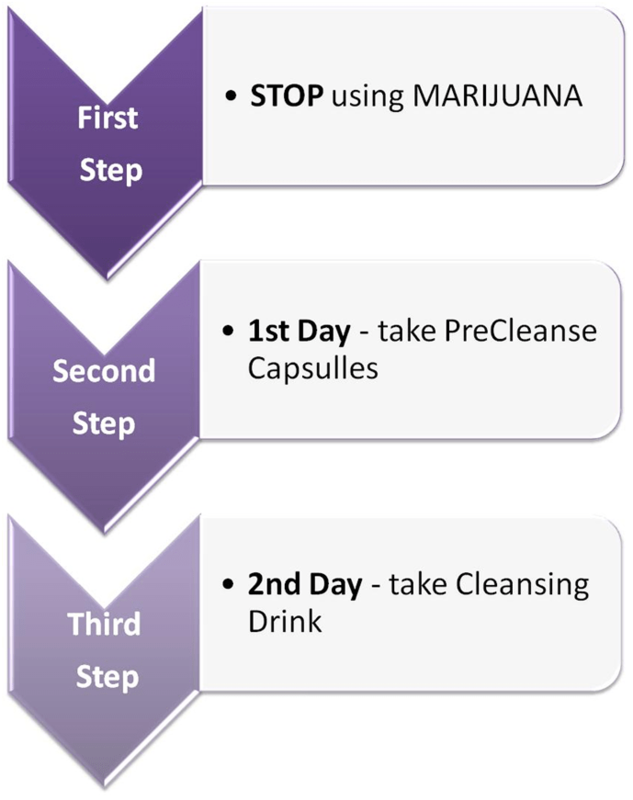 If you have smoke marijuana only a few times in the last 30 days and have a drug test within the next 2 days, you should consider Ready Clean Detox Program. Ready Clean Detox Program is designed to detoxify the body and reestablish body nutrient levels to normal from 1 to 5 hours (known as the “detoxification zone”). 2. Normal levels of background nutrients are reestablished. As a result, your urine possesses the “markers” that drug tests look for to see if you are trying to beat the test. The detoxification zone starts 1 hour after you have finished drinking Ready Clean Cleansing Drink and continues for to up to 5 hours, with maximum effect during the FIRST 3 hours. In summary: the main principals behind this program are to dilute the urine and add necessary vitamins and minerals. The goal is to beat the drug test, not to completely detoxify the body. If you try to dilute your urine without the aid of a detox drink, your urine will appear too clear and will not contain enough necessary vitamins and minerals to pass the drug test. This means, as a minimum, you will need to re-take the drug test. Ready Clean Detox Program was designed for users with light toxin exposure. Time of detoxing is 2 days. 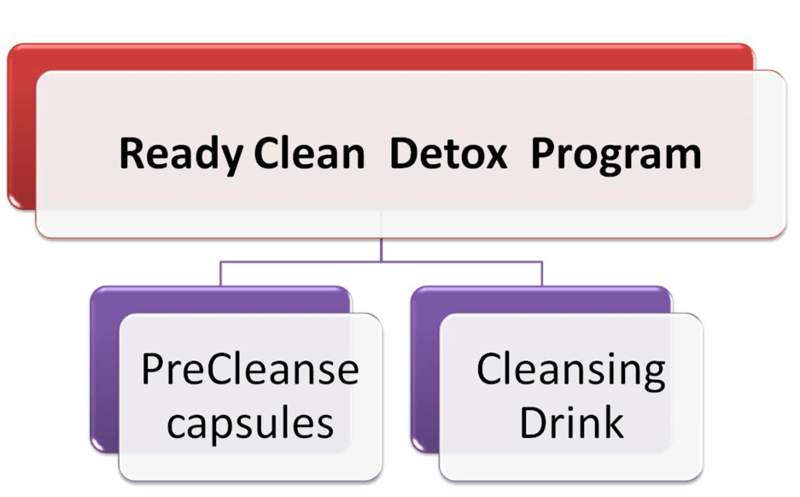 Ready Clean Detox Program consists of 2 parts: PreCleanse supplement packet (6 capsules) and Cleansing Drink. • 16-ounce bottle Ready Clean Cleansing Drink, orange, grape or tropical flavor, fortified with vitamin and minerals. • Vitamins: A, D, Thiamin, Riboflavin, B6, Folate, B12, Biotin, Pantothenic, Ca, Magnesium, Zinc, Selenium, Chromium, Manganese, Potassium, Creatine Monohydrate and Glucuronolactone. • Herb Blend: Nettle , Ginseng, Dandelion, Milk Thistle, Hawthorne Berry, Uva Ursi, Mullein Leaf, Stevia and Fruit Fiber. • Other Ingredients: Filtered water, Fructose, Natural Flavor, Citric Acid, Phosphoric Acid, Vegetable Juice for Color, Potassium Sorbate, Sodium Benzoate. Instructions may vary from person to person. If you want to maximize the usefulness of the product, an individual program can be specifically designed for you. Please contact Ready Clean Detox Program website to learn the best way to utilize the product for maximum benefit. First Step: STOP using Marijuana! MINIMUM 48 hours before starting the detox program, you MUST STOP using marijuana. The longer you refrain from smoking marijuana, the easier it is to clean the toxin from your body. Every minute you lay off marijuana, the body lowers the THC ( it will be a link to a definition) level. The Detox product takes care of the rest. 1. In the 24 hours you need to take one (1) PreCleanse Pill with 16 oz. 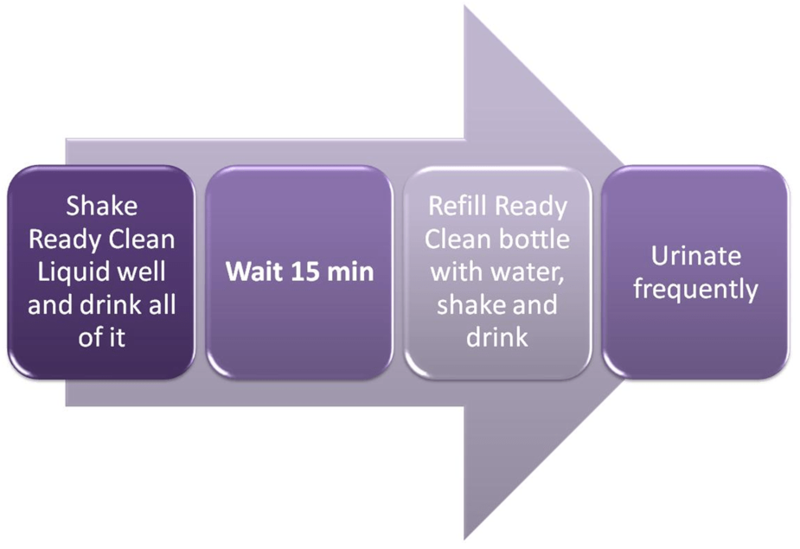 glass of water each four (4) hours before you use Ready Clean Cleansing Drink. 2. You may also drink an additional two (2) 16 oz. glass of water spread equally across each eight-hour window. DO NOT drink all the water at once. 3. Urinate as often as possible to flush out your system. The Ready Clean Program will restore your natural background markers so you will not have diluted urine during the test. On the drug test day, begin your cleansing program with Ready Clean Liquid. Shake the Ready Clean Liquid well and drink the entire contents of the bottle. Wait 15 minutes. Refill the Ready Clean Liquid bottle with water – shake the bottle well and drink. Urinate frequently. Maximum effect is at 3 hours. If you want to be sure of your drug test results, be sure to take your home urine drug test first. • Consume up to 20 ounces of fluids every two hours before drinking Ready Clean Cleansing Drink and every two hours thereafter. • Avoid eating fatty or greasy foods. • Avoid drinking alcoholic beverages or taking over-the-counter drugs or unnecessary medications. • Eat only light meals and urinate frequently to flush out toxins. 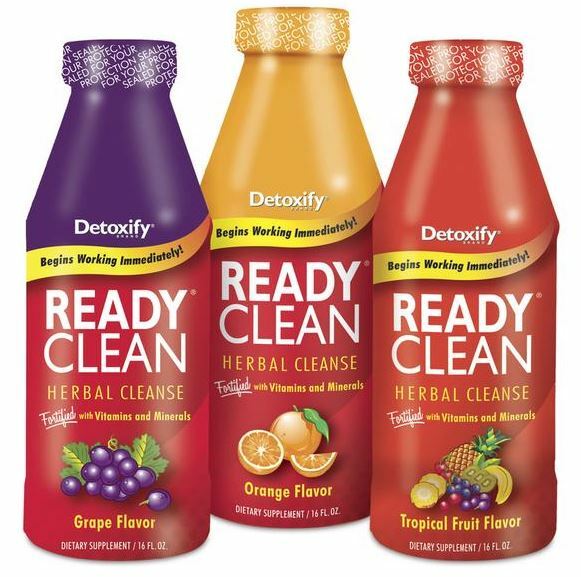 • Eat light meals including fruits, vegetables, and fiber during your cleansing program with Ready Clean. • Exercise regularly, and drink at least 12 8oz glasses of water in the days prior to using Ready Clean. • Drink recommended allowance of six (16-ounce) glasses of water a day. Water is catalyst that assists the body’s natural cleansing process. 1. Detox program increases the speed of THC cleansing from your body. 2. Money back guarantee from the manufacturer. 3. You can order the product overnight if you have your drug test within the next few days. 4. It is legal to use. 5. Unlike other products specifically designed to fool urine drug testing by adding potentially dangerous chemicals, Ready Clean consists entirely of natural products. 1. Results vary from person to person. Factors that play significant role include body weight, life style, individual metabolism and how often marijuana is consumed. 2. You have to explicitly follow the instruction if you want to pass your test. A small mistake may ruin your chances to clean out your system and pass the test. 3. You must be on a strict diet on the day of your test. 4. If you are overweight (more than 200 Pounds), do not exercise and/or have slow metabolism, you may need to use XXTRA Clean or MEGA Clean Detox Programs. Ready Clean Detox Program website Testclear.com provides outstanding helpful and professional customer service via Live Chat and Phone line. You can have a straight talk as to how you can pass a drug test. Based on your individual situation, you will receive recommendations what product is the best for you. We did not find many positive product reviews or feedback on blogs. If you are on a tight budget, and want to get extra help in order to pass your drug test, Ready Clean Detox Program may be useful for you since it contains many vitamins and herb supplements that increase body metabolism and help clean the body from THC and reestablish body nutrient levels to normal during the “detoxification zone”. Have you tried Ready Clean Detox Program? Let us know what you think! If you found this review helpful, please “like and share” so Others can also benefit from it! PubMed, Rapid elimination of Carboxy-THC in a cohort of chronic cannabis users. I am 240ish I work out (strength train) 4 times per week. I also practice martial arts 2 to 4 times per week. I smoke at most once per month or less. Consumed concentrates 1 week ago. 6 hits of the course of 2 daysI have a drop in 2 weeks. What would you suggest? K.M…I think you have a chance to detox naturally within next 2 weeks. I would recommend to continue your active exercise routine, visiting a sauna, eating healthy ( no sugar and fats) and drinking plenty of water. I would also recommend checking your THC levels with a home urine drug test in 6-7 days. This will show where you stand and what you should do next. If you still test positive, you might consider completing a 3 day whole boy detox program. DetoxJohn on Vaping vs Smoking Marijuana – How This Can Affect Your Drug Test?